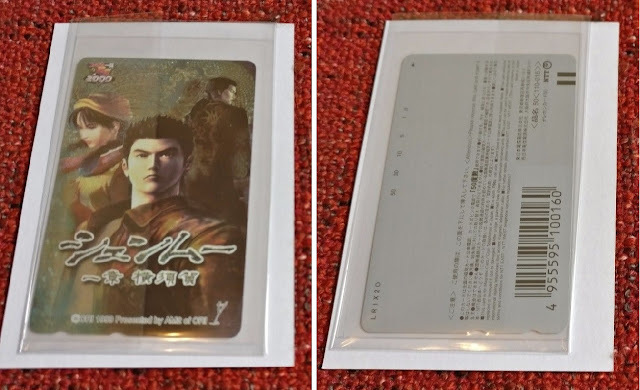 To coincide with the release of Shenmue in Japan, and during the following few years, a number of Shenmue-themed telephone cards were produced. While the cards can be used as normal phone cards for making calls, for the Shenmue fan they make a great collectible item. Japanese telephone cards / calling cards are thin plastic cards that come pre-loaded with a certain value (the most commonly-seen value being 50 units, representing a credit of 500 yen) and were created as a convenient way for making calls on a public pay phone in place of cash. Telephone cards were first introduced in Japan in the early 1980s, and used a magnetic strip to store the current value. The front of the card typically showed an appealing photographic image such as a snow-covered Mt Fuji, night-time cityscape, puppies... or kittens. 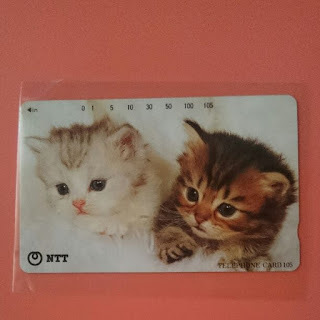 An unused 50-unit telephone card with a high cuteness factor. The amount of remaining credit is indicated in the form of holes punched in the card (or no hole, if the card is unused). A 105-unit card. A hole is punched along the top after each call to indicate the decreasing amount of credit remaining. 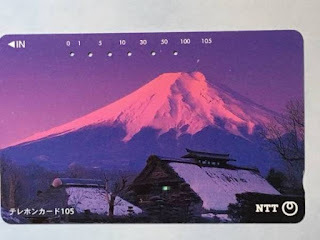 Telephone cards soon become a desirable item for general collectors, and upon realizing this NTT (Japan's national telecoms company, although it is now only partially government-owned) responded in turn by greatly expanding the range of photos and image designs used for the front of the card. 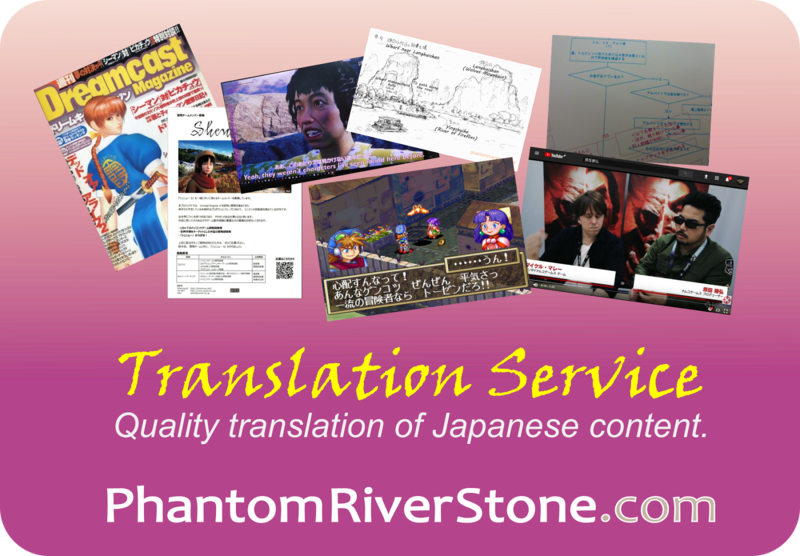 They also became an extremely popular marketing tool for products and services of all kinds. 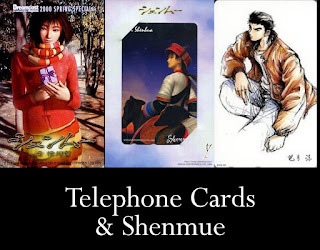 Since telephone cards were introduced in the early 1980s, they would have fitted naturally into the time period of the first two Shenmue games. As players will know (see our earlier topic covering phones in the game) however, the pay phones that Ryo uses in the first game are all coin-operated models that don't support cards. 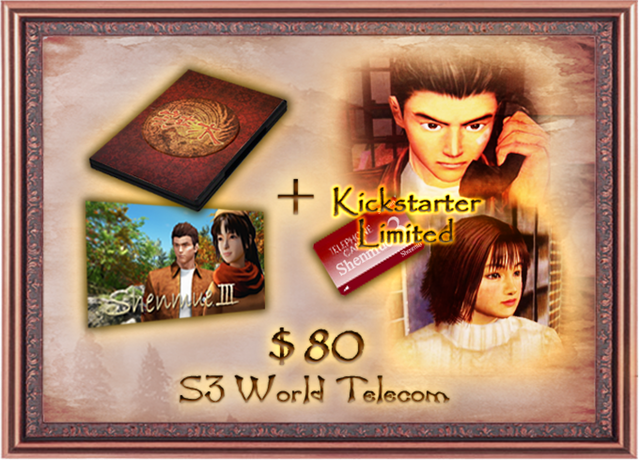 "S3 WORLD TELECOM - $80 Get an international phone card (in-game item) to call Nozomi, Guizhang Chen, Ine-san, Joy, Fuku-san, or other characters from Shenmue 1 & 2. This item will unlock phone conversations and flashback scenes available only to Kickstarter Backers." Telephone cards were part of the Shenmue merchandise available at the premiere events in 1999/2000. calendars, mugs, a Shenhua figurine, telephone cards and more. 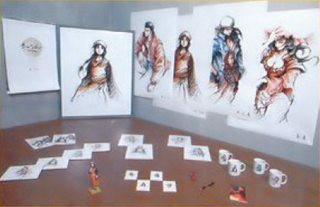 There were four telephone card designs, each carrying Shenmue artwork of a character from the story (with one of these - Niao Sun - being a character that has not yet appeared in the game). The telephone cards at the Shenmue Premiere show Shenhua, Ryo, Ren and Niao Sun. The set of five telephone cards were mounted in an attractive folder. The cards enclosed in the folder: Chai, Shenhua (2 versions), Niao Sun and Ryo. I wasn't able to find much information online about where this set originated. Leave a comment if you have any more details (or own this set yourself). 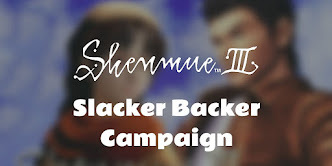 In addition a number of other Shenmue-themed cards were produced, mainly as promotional or commemorative items that could not be purchased through the usual channels. Note the logos for DoriMaga / Dreamcast Magazine on several of the cards below. 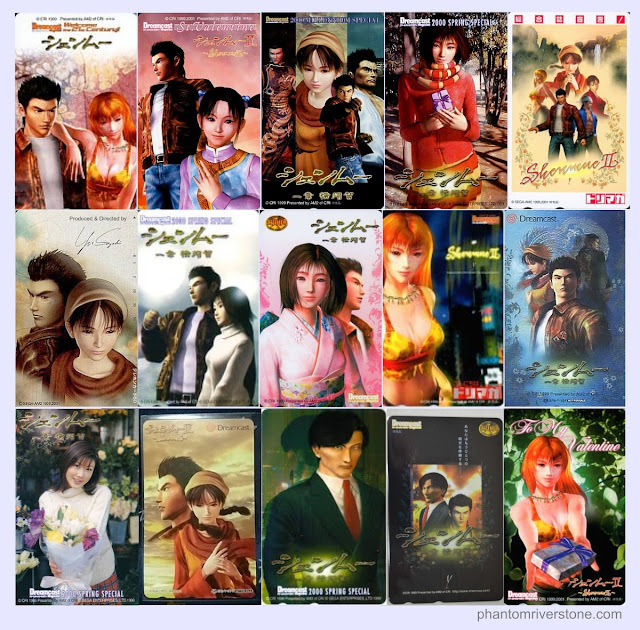 A selection of Shenmue-themed telephone cards. Commemorative events celebrated on some of the magazine-associated cards include Valentine's Day and the start of the new Millennium. The one at the bottom-left is Megumi Yasu who played the voice actress for Nozomi, and recently gave a message to fans on Shenmue's fine performance in placing second in Famitsu's the Top-20 Action-Adventure Games. 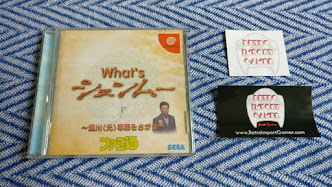 And finally, a rather special Shenmue telephone card. The front of the card has a Famitsu logo at the top-left with the number "2000" beneath - research online indicates that it was one of the prizes for a campaign run the Famitsu magazine for the start of the new millennium. What particularly distinguishes this card from others is the fact that the image on the front is holographic, so it glitters in the colors of the rainbow when turned in the light. As far as I know, this is the only Shenmue telephone card of this type. Do you have any telephone cards in your Shenmue collection? Do you have one not pictured above? Leave a comment below.